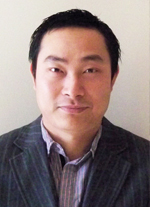 LSUHSC School of Medicine - Zhiqiang Qin, M.D., Ph.D.
Zhiqiang Qin, M.D, Ph.D, earned his MD/PhD in Clinical Microbiology from Shanghai Medical School of Fudan University in 2007. After completing a postdoctoral fellowship in Dr. Chris Parsons’ laboratory at Medical University of South Carolina, he was promoted as Research Assistant Professor in 2011. Now, he is an Assistant Professor in Department of Microbiology, Immunology & Parasitology, LSUHSC, and is also a member of Stanley S. Scott Cancer Center. His research focuses on the molecular mechanisms for viral oncogenesis using the Kaposi’s sarcoma-associated herpesvirus (KSHV) as the model pathogen, and developing novel therapeutic approaches for targeting cells infected by oncogenic viruses, or for preventing or repressing viral cancer progression. His group is also interested in studying the interaction of KSHV and other opportunistic pathogens in immunocompromised patients.